March 25, 2019 by Daniel Montes on Tony’s Roofcare Inc.
My parents were very happy once the re-roofing done by this roofing service company changed the look of our house. The team was very professional and knowledgeable. They kept me posted regarding every noticeable aspect even though I was not around. I would highly recommend their services. by Carrie Hall on Tony’s Roofcare Inc. I wasn’t here for the initial cleaning but my contractor said that the tech only cleaned the roof, he did not spray the moss killer solution as ordered. After discussing this with Greg, he sent someone out right away who applied the solution. Customer service = 5 stars, I just docked 1 for not doing it properly the first time. 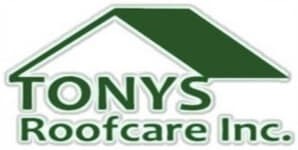 by Nikeyla Shaw on Tony’s Roofcare Inc. I had two other roofers look my roof to see if they could fix the leak above the stove and they couldn’t find the problem. Every time it rained and was windy, there would be water dripping on the stove. Tony found the problem in less than ten minutes – the vent was cracked under the roofing. He replaced the roof vent – no more leaks! He also did an excellent job of cleaning the roof. by Joshua Wilson on Tony’s Roofcare Inc.
Tony’s Roof Care is truly a pillar in the roofing industry. Tony and his team have served the community and the roofing industry for over a decade. Reliable Roofing Contractors of Washington has verified this company as a safe and reliable resource for home owners in the Puget Sound region. We recommend Tony’s Roof Care for all of your roofing needs. by Chrissy Kuhn on Tony’s Roofcare Inc.